Chinabase Machinery's planetary speed reducers are used in wind and solar power industry. lifting equipment, engineering machinery, metallurgy, mining, and construction. According to Chinese authority reports, Industry of gear reducers large amount relatively are in food machinery, electrical machinery, metallurgical machinery, environmental protection machinery, electronic appliances, road construction machinery, chemical machinery, light machinery, mining machinery, transportation machinery, construction machinery, building materials machinery, cement machinery, rubber machinery, irrigation machinery, petroleum machinery, etc. These industries use gear reducers number of products using various sectors accounted for 60% -70% of the total quantity. International market demand for heavy machinery and equipment and spare parts will increase. With the gradual recovery of the national economy in Europe and America, to re-establish the status of the real economy in the national economy, and infrastructure needs of developing countries, heavy machinery products have more room for development in the international market. In the heavy machinery market demand increased, the industry is also product upgrades, integration of the two aspects of energy conservation work carried out fruitful. In terms of product upgrades, years of the same old product in accelerating the pace of technological updates. Gantry crane industry enterprises to adopt jointly or independently developed the way, have the old product innovation, product upgrades formed a boom industry. Beijing Materials Handling Research Institute jointly launched many enterprises Series lightweight overhead crane work, currently made progress. Industry actively introduce VVVF drive technology, remote and information technology to accelerate the upgrading of products to high-end technology. Industry development crane gearless variable frequency drives began to test the water main lifting device in the market. 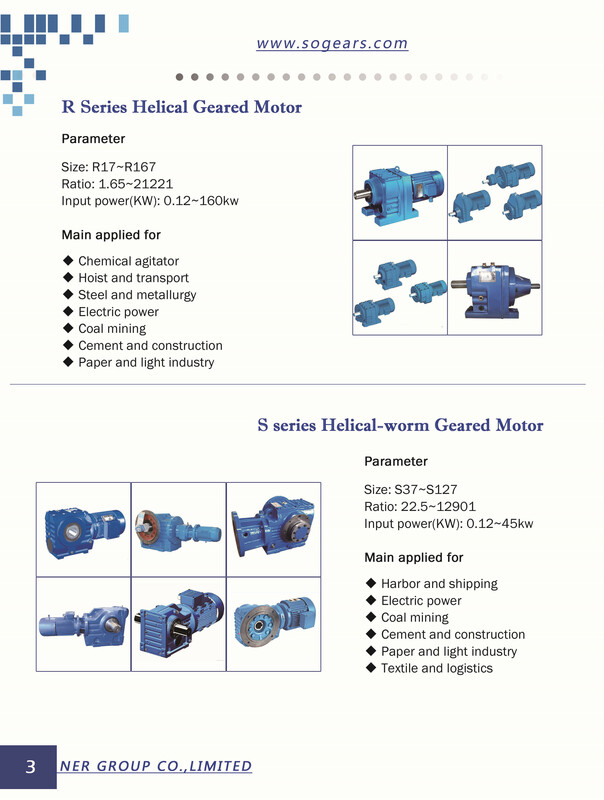 With national attention on the mechanical manufacturing industry started to accelerate the process of localization of major equipment, as well as urban renewal, venue construction and other projects, the reducer market prospects, the industry will maintain rapid development momentum, especially gear reducer growth will be greatly improved, which is mostly imported equipment for the use of gear reducer related. 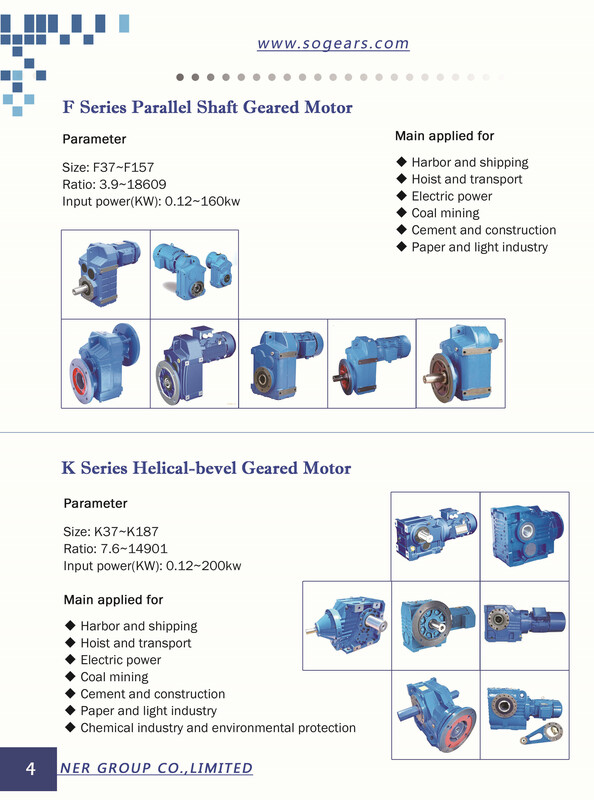 Is a power transmission gear mechanism, its purpose is to reduce the use of speed, increase the torque. It's a wide range of different models, different species have different purposes. Heavy machinery reducer designed products include all kinds of gear reducer, planetary gear reducer, worm gear and cycloid gear reducer, also includes a variety of special gear.